Did you lose the data of your iPhone? Well, you are not the first person to lose the data so just relax. There are several iOS 12 data recovery tool available in the market. You can easily recover all your lost data using the recovery tool but choosing the best recovery software can be a tough task. So, this article has listed top 5 iOS 12 data recovery software 2018 which will help you to choose the right software that makes your task more fast and effective. Make sure to go through all the software and choose the best one that meets your requirement. Tenorshare UltData is a wonderful iOS 12 recovery software that easily recovers all your lost data. This software has the capacity to recover data directly from iOS devices, iTunes and iCloud backup. This software supports over 20 file type like SMS, contacts, photos, WhatsApp etc. and helps you to get back the lost data selectively and safely. You can preview the file before you recover it and this tool even offers you the feature to choose the file selectively or in bulk while recovering. 1. Download, install and launch UltData on your computer. Also connect your device to computer using USB cord. 2. As soon as you connect your device to computer, UltData will detect your device if it is trusted. But if the device is not trusted then unlock your device and then check your computer screen which should display a message asking you to Trust the computer. Click on it. 3. Now you will see the main screen of the software. There will be 4 options on the top menu bar, choose the option as per you preference. 4. If you want to recover data from iOS Device then you can choose the file type which you like to recover just by selecting the box and even you can select all the file to recover lost file from everywhere. 5. Then click on “Start Scan” button to start the process. 6. Once you are able to get back all the lost data, click on Recover button. You have now successfully recovered the lost data of your iOS 12 device. iMobie PhoneRescue is another iOS 12 data recovery tool which can easily restore 31 types of iPhone data file. This tool can restore photos from iTunes backup even if the data is encrypted. The interface is simple and easy due to which the beginner can also use it without any problem. This tool is secure and easy to operate with straightforward workflow. It easily restore different type of data and files but the scan time is really slow which takes too long to complete the process. It is a paid tool which cost you around (Personal license, offer Price). Wondershare dr.fone is an iPhone data recovery software that can recover any kind of lost data whether it be due to factory reset, iOS update, jailbreak and many more. It supports over 30 file type like music, video, photos contacts, messages etc which give you more freedom as you can recovery the file types having these format. You can even preview the file or select the file before recovering it. It has safe and secure data recovery software but only provides you 7 days free trial and after that you need to purchase the software if you want to use. 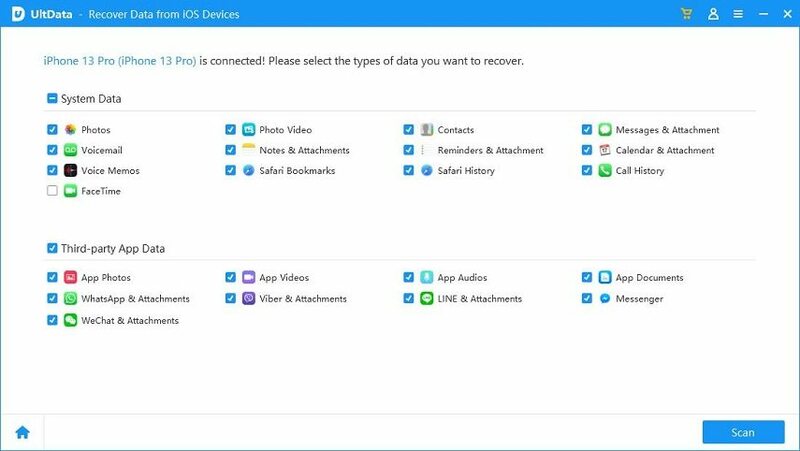 EaseUS MobiSaver is an iPhone data recovery software that can recover all the possible data which was lost for whatever reason. It can recover from iOS device, iTunes backup and even iCloud backup. This software also supports various file formats like photos, videos, messages, contacts, safari bookmarks and many more. 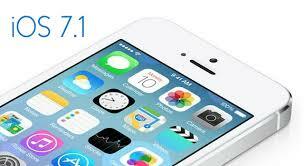 It recovers data with enhanced quality and even supports two-factor authentication of Apple. This tool will easily scan the lost data then after you can preview and recover only the needed file. But sometimes connectivity with the iPhone seems to be difficult and not all files will always be retrieved. Stellar Data Recovery is one such software which helps you to restore the data which was lost due to some reason. This software recovers the lost data of iOS device, iTunes backup and iCloud backup. It has the feature named Deep Scan which will help you to recover the lost data from the deep of the lost place. This tool also supports various file type like contacts, safari bookmarks, notes and many more. It is easy to use and has intuitive interface that has the ability to recover file securely. But this tool take sometimes to scan which might be issue for some of the users. In the above article it has mentioned top 5 iOS 12 data recovery software. Every software has its own unique feature and advantages with some weak point but if you rather prefer best iPhone data recovery software 2018, then you should go for Tenorshare UltData. This tool works magically and helps the users to recover the lost data with an ease. Try Tenorshare UltData and let us know what is the best part about this tool that you liked. Your comment will be appreciated.